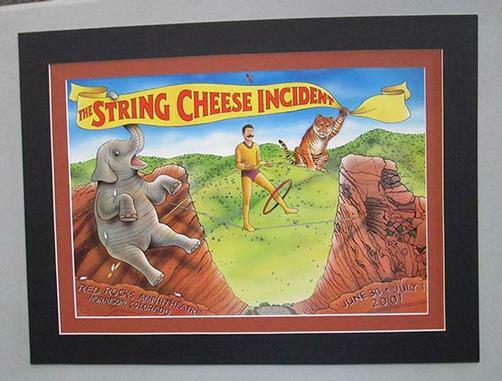 Original concert poster for The String Cheese Incident at Red Rocks Amphitheater in Morrison, CO in 2001. Artwork by Harry Rossit. Poster is taped to mat board and measures 24 x 18 inches.